Emerald halo ring 18ct White gold. 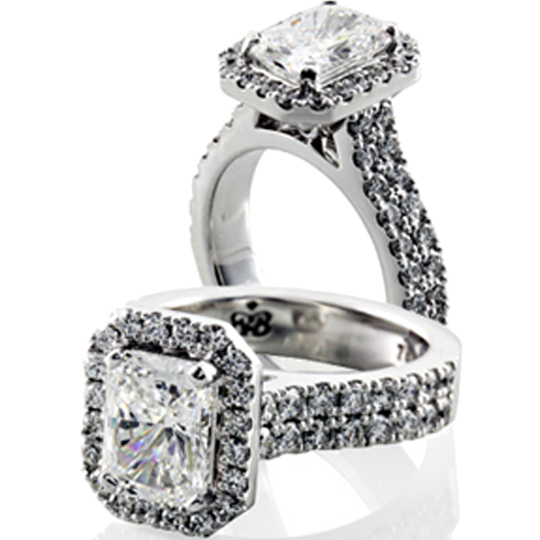 Beautifully set with 1.21ct F Vs1 Emerald Cut diamond. Complimented with 0.80ct F Vs1 small brilliant cut diamonds.